Sukanya Samriddhi Yojana. Okay, this is one name that has created an umbrella cover over the internet in the recent days. It is one of the hottest topics discussed by Indians, especially the middle class people who often eye for small or micro investment schemes that offer higher returns and better security against market turbulence. Of course, investment security is something everyone looks for and it goes without saying that government backing is the biggest security one can get. This is why PPF or Public Provident Fund is one of the most famous and go-to investment areas for Indians. The scheme is government backed and hence, extremely secured. The scheme falls in the category of small investment schemes and hence, appropriate for a large segment of Indians (remember that India’s middle class is the most dominant human resource force of the nation). The scheme offers excellent returns on investment, which is actually better than PPF returns. The scheme is market-linked and hence returns are pretty lucrative and flexible. The scheme is designed for female children of the nation. With growing awareness among Indians about the necessity of providing a financially secured life to the female children, this scheme is gaining popularity unlike any female child-oriented schemes launched earlier. The scheme offers attractive tax benefits. In fact, the scheme being tagged as EEE category investment area, makes it one of the most popular investment schemes available in market today. There are many other reasons that make the Sukanya Samriddhi Yojana a popular government scheme. In fact, this scheme is actually a flagship Yojana of the current BJP-led government. We will not go into the details of the scheme because we are pretty sure that you are already aware of the details. This article in particular will focus on only one part – withdrawals under Sukanya Samriddhi Yojana for the purpose of marriage. The Sukanya Samriddhi Marriage Conditions have always bothered people willing to invest in the scheme. The reason for this botheration is clean and simple – lack of clarity! This article in particular will focus on providing a clear explanation for Sukanya Samriddhi marriage conditions. Once Married Once the female child gets married, the account has to be closed completely and all remaining balance is to be withdrawn. The table itself is self-explanatory but still requires a quick and simple explanation. 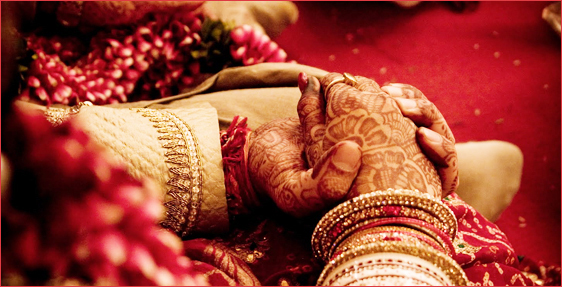 Marriage expenses are always high and covering those expenses require a lump sum amount of money. Only 50% of account balance is allowed to be withdrawn for the purpose of covering the expenses subject to the condition that the girl has attained adulthood when such withdrawal request is made. Also, 50% of the account balance will be counted for the year prior to the year in which the girl attains adulthood. Also, once the girl is married, the account has to be invariably closed. The account cannot be left open even if the basic condition of 15 years of deposit is not fulfilled. In case you are confused, let is remind you that Sukanya Samriddhi Yojana allows a maximum of 15 years of deposits, beyond which further deposits are not allowed but the account can be left open as long as the account holder wishes to. The total balance in the account, under that situation, will continue to earn interest at compounded rate. That’s pretty much all about the marriage conditions under Sukanya Samriddhi Yojana. In case you have any question, feel free to drop a comment. We will revert back to you as soon as possible.